That may be his heartfelt wish and desire, but there is at least one caveat. For MYOB and Reed a deadline looms, with US private equity outfit KKR offering a reduced $3.40 for a takeover. The PE company's roller coaster offer started at $3.70 before being revised up to $3.77 and then down to $3.40 late last year. Speaking in Auckland, decade-long CEO Reed told Reseller News that on Friday an official "go shop" period ends, which means the company cannot market itself to other potential buyers. If other bids come in, KKR's obligation to offer five per cent higher than those bids ends. However, Reed said, if between now and a shareholder vote a higher offer comes in, the board has an obligation to consider that and whether they continue to recommend the KKR bid. KKR's bid is also an all-cash offer for all shareholders, including Reed, whose holding has been valued at around $41 million. That means he will have to negotiate a new contract, incentives and shareholding with the company's new owners. To some considerable extent, his tenure as CEO depends on those negotiations. "That's a tricky one," Reed said. "The offer that KKR made was an all-cash offer and that was it. In that sense I'm like any other shareholder. I have been given an all-cash offer for my shares and no real alternative. "It is common for private equity firms to want management to have shares in the business and so we will have to work out if that is something that KKR is interested in or not and how we accomplish that. "But none of those conversations will take place until the end of the go-shop period." Reed said KKR wants him to be part of the journey and he has responded likewise, but new conversations will be required. The bid put MYOB, which reports its results on 21 February, and CEO Reed, in the odd position of having to seek better offers after initially recommending shareholders accept KKR's bid. Reed has had to to go out and get better offers, but that would have applied, even if KKR's offer had remained at $3.70, he said. "It is a slightly odd experience and as CEO what I've got to do is make sure that our team continues to deliver to clients, that it's business as usual and the investments we are making continue to be good investments," he added. 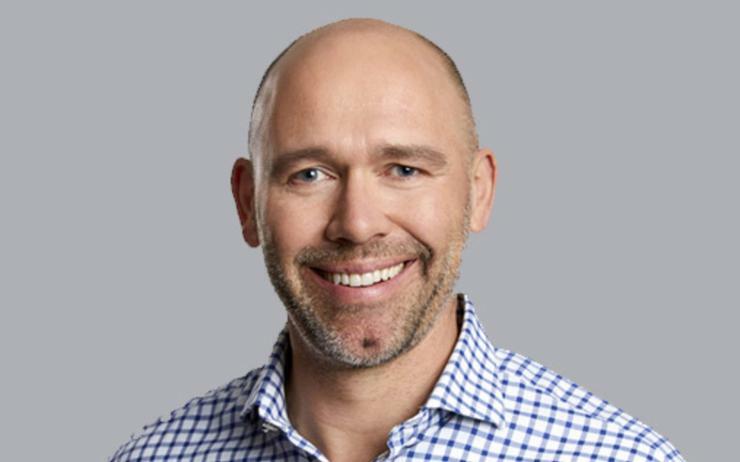 MYOB claims to have won back some momentum against arch rival Xero, which lost founding CEO Rod Drury last March and, while still based in New Zealand, ended its local stock exchange listing in late 2017. "Xero is three months out of sync with us, but if you look at the last two sets of numbers in Australia and New Zealand that each of us have shared, we have added more online ledgers than they have," Reed said. Reed said while things have changed at Xero with significant executive churn, he encourages his team to focus on the things they control. Despite its issues, Xero's results continued to be quite strong. "I try not to second-guess what's happening inside a competitor's organisation," Reed said. "I think you are always better to keep your eye on the ball and play you game plan and do the things that you believe in the long run will build a great sustainable business."